I don’t think you should name your baby Lucifer. 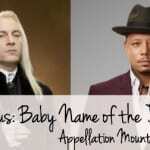 And yet, it’s easy to understand the appeal, and so this dark-light choice is our Baby Name of the Day. It’s not easy to talk about evil personified. I’d always dismissed Lucifer as just another name for the devil. And yet that’s a vast oversimplification. Lucifer comes from the Latin lux – light and ferre – carry. Poetically, the meaning is given as shining one, light bringer, or bringer of dawn. It’s also a term used to refer to the morning star, or the planet Venus. In ancient myth the dawn gives birth to the morning star. Eos and Phosphorous in the Greek; Aurora and Lucifer in the Latin. Even before the Greeks, Canaanite myth had a story about Attar, god of the morning star. And there are some places where the image of the morning star is associated with Jesus. The King James version of the Bible refers to Lucifer by name in Isaiah 14:12, but plenty of other translations do not. Dante’s Inferno and Milton’s Paradise Lost also called the devil by name. I suspect that prior to Milton and the King James Bible – both products of the early 1600s – Lucifer might not have been widely used in English to refer to the devil. More proof that the devil came late to the party? The first bishop of Siena wore the name, sometimes around 300. Saint Lucifer of Cagliari lived in the fourth century. A second bishop of Cagliari took the name a century later, presumably in homage. In the early seventeenth century, a Dutch-born pirate named Hendrick Jacobszonn acquired this name as a nickname. Fitting, right? Not so fast. Jacobszonn was known for using fire and smoke to surprise his enemies. It seems that was the source of his nickname. We’d expect Lucifer to cameo as a bad guy in comic books, and he doesn’t disappoint. Neil Gaiman borrowed him for his comic books series The Sandman. It was based on an earlier DC Comics character, but Gaiman made the story all his own. The series debuted in 1988. 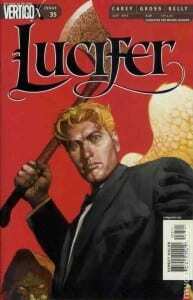 Eventually, Gaiman’s version of Lucifer Morningstar was spun off into a separate series. The comic inspired a new television series with an irresistible premise: what if the devil got bored? He leaves Hell and relocates to Los Angeles to run a nightclub called Lux. But then tragedy hits close to home, and he finds himself helping the LAPD solve a murder case. And then another. And another. After all, Mr. Morningstar can’t be killed. He can prompt others to reveal their deepest desires – and sometimes force them to admit their crimes. We’re just a few shows into the very first season, but it also appears that he may enjoy delivering justice – and might even be tempted to reform. Tom Ellis plays the title role, and he’s wickedly charming. But Ellis wasn’t the first small screen version of the Prince of Darkness. Supernatural introduced their version of the character in 2009. The hit CW series probably gets credit for the bump in boys given the name. 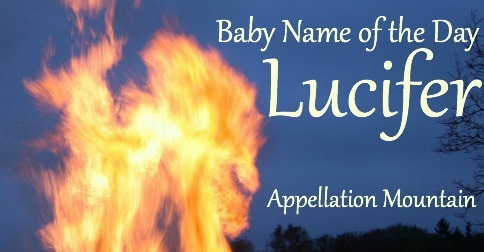 Let me clear: television series aside, I don’t think you should name your baby Lucifer. It’s just too darn polarizing. And yet, I’ve been wrong about bold names before. Messiah and Maverick are mainstream. And we do love a good Luc/Luke name. Around 70 boys have been given the name over the last fifteen years, with 11 born in 2014 alone. Still, I think the hurdle is greater. Regardless of your personal beliefs, I think it’s just too big, too shocking a name to consider. What do you think of Lucifer? Is it at all wearable? The name sounds great and has obvious appeal. Since biblical myths are extremely popular, I don’t think it’s safe to use the name. Sadly, I know many atheists who are harassed and attacked (mentally, physically, and financially) by Christian’s because of their nonbelief. Especially children. I feel like using Lucifer would be inviting Christian children to bully them. Normally I wouldn’t advocate for someone else’s beliefs to ruin a name for you but I do feel this is a safety issue. It’s a good name for a cat…baby, not so much. I think Lucifer just sounds too evil. 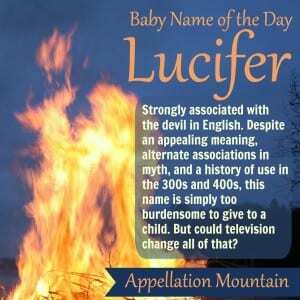 I would never name a little baby Lucifer! I’m looking for a less Christ-y way to honor a Kristopher. Ha. Maybe a Lucifer. I wonder if it could be respelled Lucipher or something to lessen the impact? It looks gross with the “ph” though. Perhaps the Scottish form Kester? Perhaps even Lucivar like the character from Anne Bishop’s the Black Jewel Trilogy. There is a compelling argument to be made that Isiah’s prophecy is referring to the king of Babylon (as stated in the preceeding verses). Having said that, Lucifer still reads “villian”. With so many better options for a boy’s name meaning ‘light’ , this one is best left on Cinderella’s evil cat. 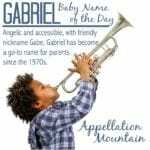 I might consider it as a middle name… there are plenty of other names I love more, but it does have a lovely meaning and a certain edgy appeal. I know what you mean … and yet, I cannot imagine going through life with the name! So I had to go and check — he’s also explicitly named Lucifer in the Wycliffite translation of 1395, and in Jerome’s Vulgate of 405. It looks like it’s only modern translations that eschew the term. Now that IS interesting, Sara – thank you! As I’ve mentioned before, my father wanted to name me Lucifer, and call me Lucy. His second choice? Trinity. I do really like the sound and meaning of Lucifer, and the mythology is intriguing, but sadly, yeah, bad idea to actually give it to a child. I’d forgotten that, Panya! That has to be the best the-name-I-was-almost-named story ever.